**Thanks to Family Christian for sponsoring today's post. Be sure to check them out for all your Sunday school/classroom needs! All thoughts are my own. 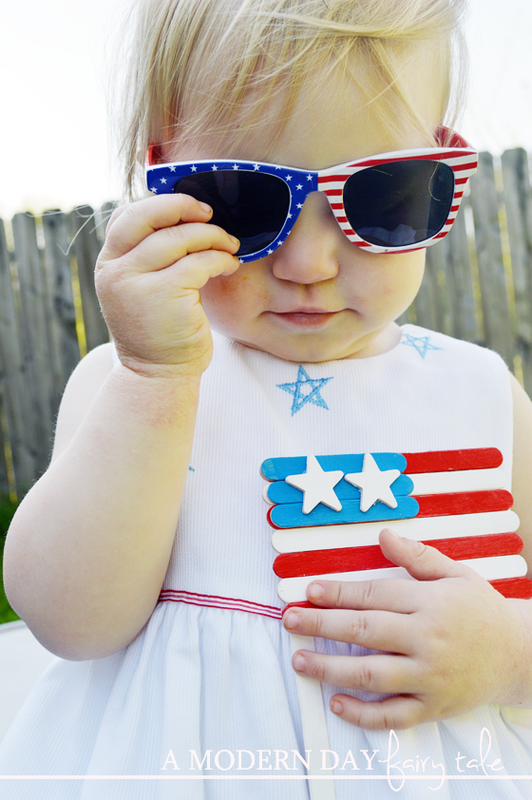 As a (once a Marine Corps, always a Marine Corps) family, it can be safe to assume we're pretty patriotic! We love showing our pride for our military and our country throughout the year, but especially on those days set aside to honor them, like Memorial Day. 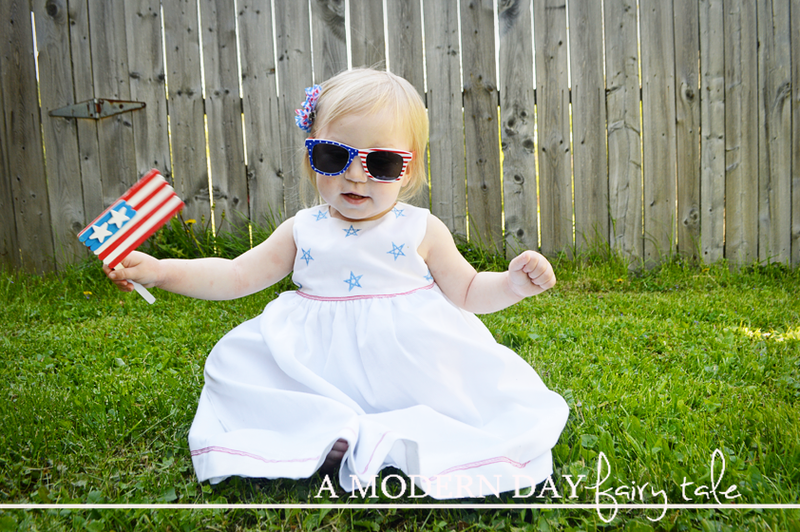 For many, this may be just a day for barbecues, parties and to break out some red, white and blue, but we really want to be sure to teach our kids to truly appreciate this day and everything it stands for... to honor those who have made the ultimate sacrifice for this country. 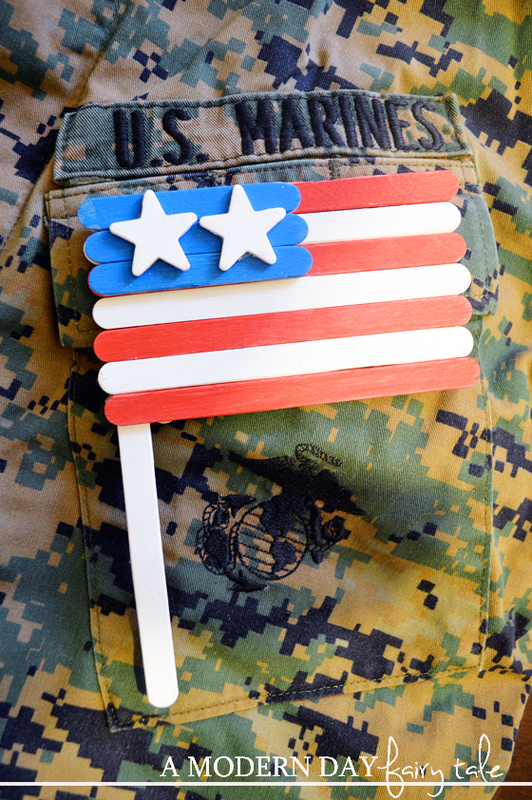 Today, I am sharing a simple craft that is perfect for kids to show their pride in their country and their military- a super easy, popsicle stick flag! 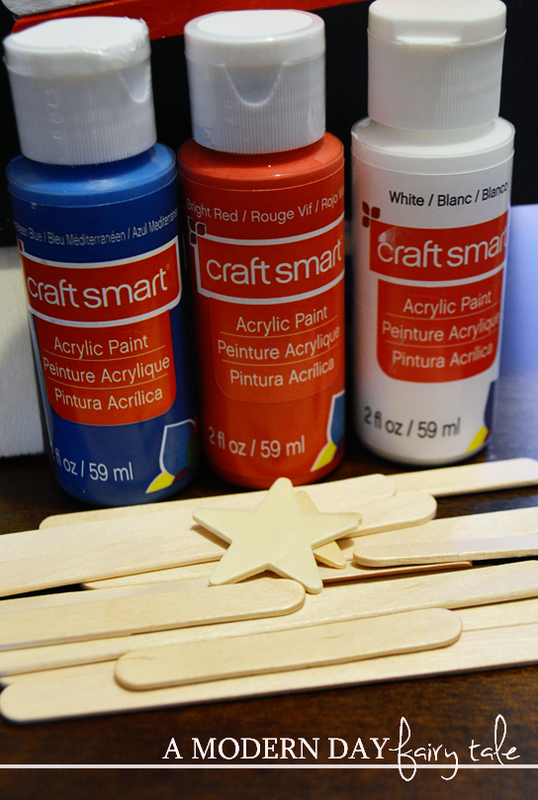 First up, paint your popsicle sticks and stars. The longer, regular size sticks will be red and white. Use some shorter to create your blue. (If you'd prefer, you can use one size, just keep this in mind as you paint... I find the addition of the shorter sticks to be easier!) Paint your stars white. Allow all to dry. Next, it's time to put the flag together! Use two shorter sticks to create a base to glue your stripes onto, alternating red and white. Finish up by gluing on your stars- I've found you can add about 1-3 of these craft stars, but if you'd prefer a more genuine flag look, consider painting them on, or use stickers! Not only is this a perfect craft for Memorial Day, it's also ideal for the 4th of July, Veteran's Day or every military family member's favorite day- homecoming!! 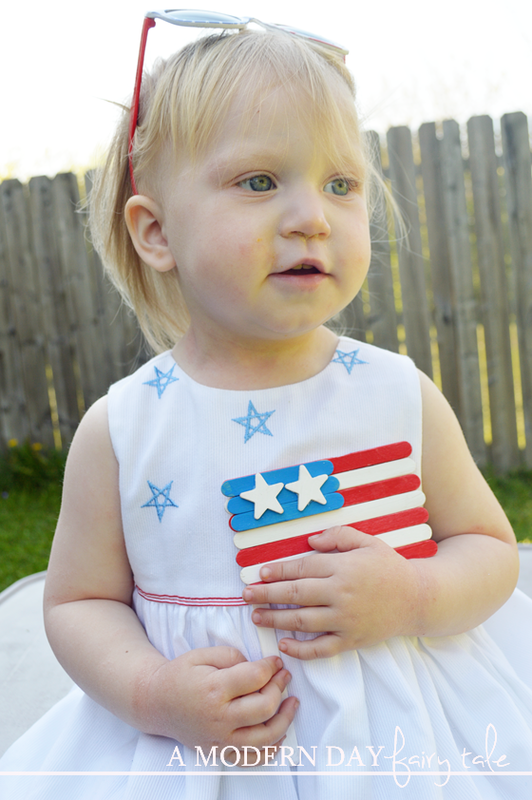 In what ways do you teach your children to honor their country? This looks easy and adorable. My kind of craft!